Guayusa (gwhy-you-sa) is an Amazonian leaf naturally packed with caffeine, polyphenols, and 15 essential amino acids, so it provides a clean, focused energy. 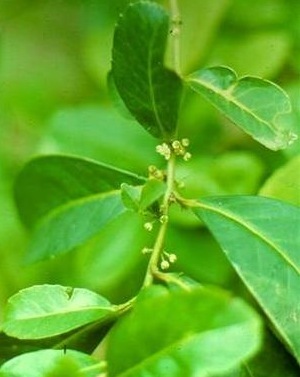 There are no tannins in guayusa, so it lacks the astringent, bitter taste sometimes associated with green and black teas. Instead, it tastes smooth and naturally sweet. A balanced stimulant, guayusa contains energizing compounds. It offers benefits for an attentive mind, a peaceful body, and an awakened spirit. Guayusa offers more caffeine than tea, yet less than coffee. It contains other stimulants in the same family as caffeine, such as theophylline-- a clarifying and uplifting compound also found in green tea; and theobromine, a stimulant found in dark chocolate offering a pleasant feeling. 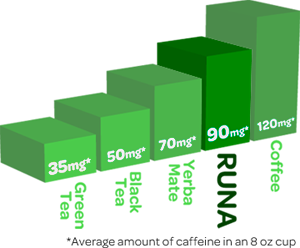 This unique mix of caffeine, theophylline, and theobromine is what gives the balanced energy effect without nervous jitters and resultant crashes. Guayusa has what it takes to get you going, while stabilizing the release of caffeine in your blood; is easy on the stomach and doesn’t cause the stomach discomfort sometimes associated with drinking coffee. • Polyphenols: studies confirmed one cup of guayusa has 30% more polyphenols than a cup of green tea has been shown to boost the immune system, promote a healthy heart, and have an anti-inflammatory and anti-tumor effect. • Saponins: Studies illustrated the beneficial effects on blood cholesterol levels, cancer, bone health and stimulation of the immune system. • Theanine: an amino acid compound studied for its calming effects on the nervous system, and for its ability to protect and restore the brain. • Fifteen essential amino acids, including relatively high amounts of leucine, for muscle protein synthesis and body builders. • It also contains the minerals potassium, magnesium, calcium, zinc and chromium, and vitamins D & C.
The indigenous Kichwa say guayusa is so captivating that visitors are warned once they drink it, they will always return to the Ecuadorian Jungle. The women say it relieves symptoms of menopause, helps the liver and stomach; soothes and reduces aches and pains and offers balance and strength to pregnant women. Spiritually, elders say guayusa helps dream recall, protects against insect and snake bites, and connects them to the forces of nature. Traditionally, indigenous families woke up at dawn to drink guayusa around their communal fire until sunrise. The elders taught the youth about ancestral myths, hunting techniques, and social values, and about what it means to be “Runa” in the indigenous cosmovision. Community shamans, known as yachaks or rukus in Kichwa, will also play a traditional bamboo flute (known as a kena) and a two-sided weasel-skin drum, and sing soft rhythmic songs during these early morning hours. The shamans also interpret dreams from the previous night, and make recommendations to guide the community and help them live in harmony with the rainforest. After drinking the first gourds of guayusa, children are often sent to go bathe in the river and receive its strength and cleansing for the day to come. Guayusa induces lucid dreaming and is known as the "watchman's plant," since even when sleeping you are aware of your surroundings. Guayusa was used to sharpen senses and keep hunters awake during hunting trips. The guayusa ritual continues to be a cornerstone of in some parts of Kichwa culture, bringing family and community together around the simple experience of drinking tea. Guayusa needs a diverse ecological habitat to grow. 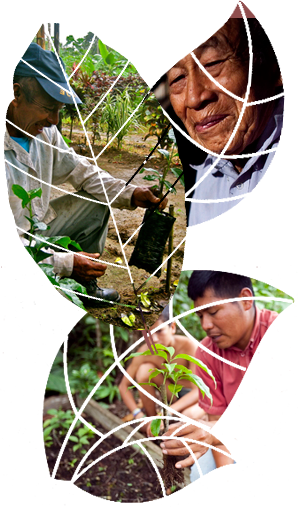 Its cultivation creates economic incentives for farmers to maintain the rainforest. The market created by sellers and drinkers requires farmers to actively reforest degraded lands in the Amazon. 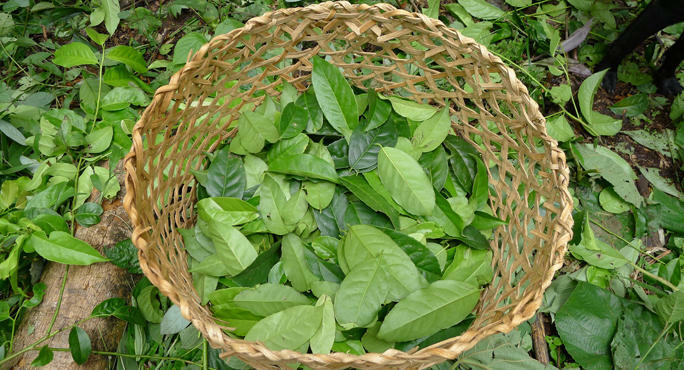 Buying guayusa at fair trade prices promotes organic agro-forestry as an alternative and more sustainable agricultural practice to slash and burn agriculture and deforestation. While many of the indigenous communities in the Ecuadorian Amazon grow coffee or tea (plants imported from other parts of the world), guayusa, in contrast, is a native plant of immense cultural importance and mythological significance. Growing guayusa and sharing it with an international community is a powerful way for the indigenous communities to appreciate their culture and recognize its value in the modern world. By drinking guayusa you give these farmers the opportunity to continue living and evolving as Runa. As a testament to guayusa’s revered status as a powerful plant throughout South America, famous Harvard Ethnobotanist Richard Evans Schultes found a 1,500-year old bundle of guayusa leaves in a medicine man’s tomb high in the Bolivian Andes, far beyond the natural range of the plant. Jesuit missionaries fell in love with guayusa in the 1700’s, and surrounded many of their missions in Ecuador and Colombia with bright, leafy guayusa trees. Many indigenous communities say that guayusa is a plant teacher, and forms an important part of their shamanic traditions. Several myths recount how guayusa was the first plant that taught human beings how to dream, and how the ritual of getting up at dawn protects humans from wandering spirits in the night. Guayusa is said to teach people how to conquer fears and have poise and presence through difficulty.